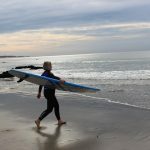 I'm a water sports pro and eager to present all kinds of water sports on my blog. 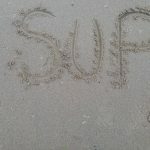 I search for wet adventures, new swimming locations and events, SUP treks and events, new gears etc. If you wish me to introduce new wet things on this blog, don't hesitate to contact. 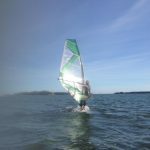 This blog is a celebration of boundless outdoor swimming and water sports possibilities in Finland. 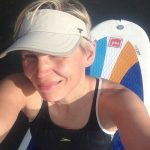 I started this blog in 2016: I challenged myself to swim everyday in May (#31daysofswimming2016). 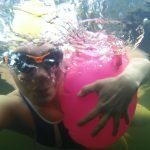 I'm doing the #31daysofswimming challenge again in May 2018. Also blog posts of long SUP tours are coming in summer 2018. Read more of me. 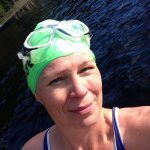 "I'm so happy to have met wonderful people in outdoor swimming world like Jonathan Cowie and Vivienne Rickman-Poole." 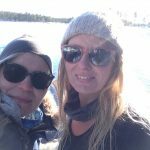 Plunging into Finland's 187 888 lakes, into the Baltic Sea and into innumerable secret out-of-the-way swimming spots is a real joy. Finland is a true swimmer's paradise: you can swim anywhere you like and waters are clear and safe. Finnish Lakeland is the largest lake district in Europe. The Baltic Sea offers world's largest archipelago for swimming adventures. 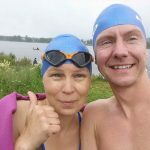 Open water swimming season starts in May and lasts 'till October. Water temperatures vary a lot according to weather conditions. Finnish waters are much warmer than one could expect. There's lots of sunshine from June 'till August even at nights and surface water gets astonishingly warm in lakes. 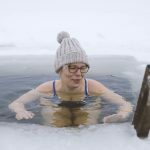 Winter swimming and ice swimming have long traditions in Finland. In old times winter swimming was mostly connected to sauna going, but nowadays swimmers dip themselves into freezing water also without sauna. 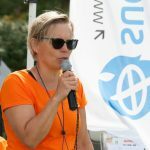 The 30th Finnish Winter Swimming Championships event will be organised in Turku in February 2019. First European Winter Swimming Championships will be organised in Finland in March 2019.